On this blog, we have discussed the word of prophecy (1 Cor. 12: 10), its importance during the season of Advent, and how to respond when given a confirmed prophetic word. Today’s post focuses on the Blessed Virgin Mary as a model for receiving and acting on prophetic words. Luke 2:25-40 describes two prophetic ministers, Anna and Simeon, reaching out to Mary when the baby Jesus is being presented at the Temple for circumcision. Simeon was united in Christ in righteousness, “righteous and devout” (v. 25a), yielded to Christ trusting his delay, “waiting for the consolation of Israel” (v. 25b), and remained in Christ enjoying his manifested presence, “Holy Spirit was upon him” (v. 25c). Simeon was intimate with God for Simeon knew his voice, “you would not die” until he sees Messiah (v. 26), and Simeon was led by the Spirit for he was directed by the Spirit “into the Temple courts” (v. 27). 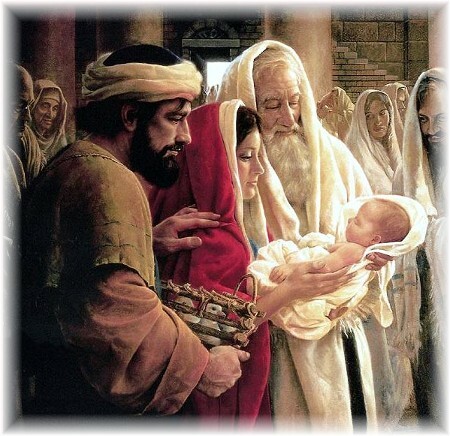 Simeon’s prophetic word consisted of two parts: public in Temple (v. 29-32) and private to Mary (v. 34-35).The public pronouncement focuses on Jesus–God’s salvation found in the baby. This salvation is for the Gentiles and the Jews bringing about the healing of the nations. Simeon’s personal word to Mary is strangely negative: the proud, self-absorbed, self-assured, and hard-hearted will be revealed (v34-35). Israel will resist Jesus’ ministry, and as result, their worldly, unbelieving hearts will be exposed. In turn, Israel’s rejection of Mary’s son, the Son of God, will break her heart as well. [Stephen D. Swihart, ed., Logos International Bible Commentary(Plainfield, NJ: Logos International, 1981), 439. Some may ask why Simeon’s word of prophecy is negative in tone, “Are not all prophecies to be ‘strengthening, encouraging, and comforting'” (1 Cor. 14:3)? “Are not all prophecies to be positive and uplifting”? A prophecy can contain a rebuke, correction, or warning and still be comforting and healing. When Jesus corrects or rebukes, he also gives the grace, the Holy Spirit’s enabling power, to obey his word of command. Jesus gives prophetic words to the seven churches of Asia: five of the seven are rebuked or corrected for their lack of holiness, obedience, or perseverance. Yet, all five are encouraged, graced, and offered a reward for choosing obedience (Rev. 2 & 3). Simeon’s warning to Mary is the Holy Spirit’s way of helping Mary avoid the pain and shock of unexpected suffering and rejection. It is good that Mary knows now that her precious child’s future death will break her heart in the most painful of ways–the Cross. Simeon and Anna are the senior citizens of Luke’s version of Jesus’ birth, and they know and understand more than anyone else. Of all the people that Jerusalem’s streets were teeming with the day that Jesus was named–the rich, the powerful, the young, the holy,–only Simeon and Anna are given insight into who is being carried into the Temple courts in his parent’s arms. In fact, they know more than Mary or Joseph, who are astonished at what Simeon says about Jesus. It is clear that God has placed great value on Anna and Simeon and that he does not think he is wasting the Holy Spirit on two seniors who have passed the prime of life. Murray Andrew Pura, “Luke,” in The Renovare Spiritual Formation Bible, New Revised Standard Version with Deuterocanonical Books, eds., Richard J. Foster, Dallas Willard, Walter Brueggemann, and Eugene H. Peterson (San Francisco: HarperCollins, 1989), 1887. This entry was posted in Advent, Blessed Virgin Mary, Christmas, Prophecy and tagged Blessed Virgin Mary, Christmas, Word of Prophecy on December 6, 2011 by GlennDavis. 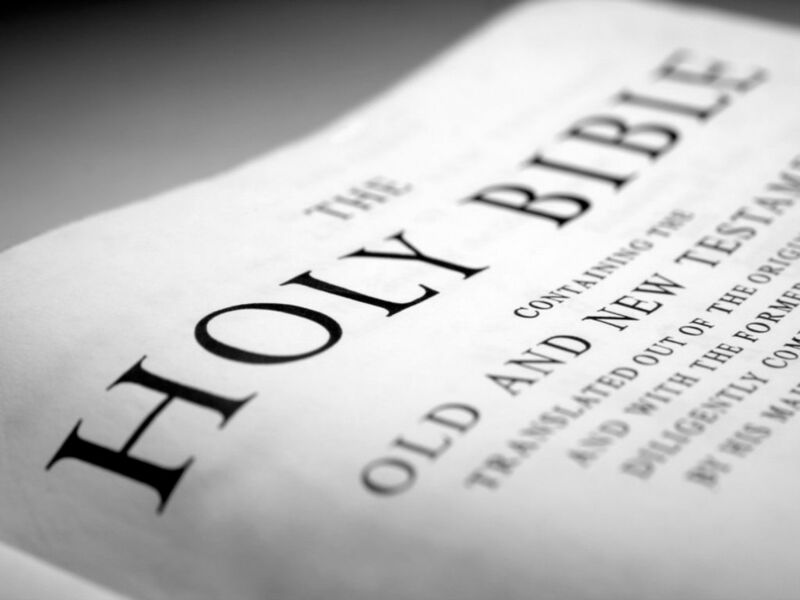 The Bible is the Word of God by its immeasurable majesty, moral purity, essential unity, and time-tested faithfulness. The Bible is unique in its power to convince and convert our hearts, comfort and build-up our spirits, and divide and measure our motives. The Bible is encouragement in trial, insight into the tribulations of life, and guidance in the midst of confusion. The Bible is the only book whose author can personally and directly apply its truths to our daily lives. The Word of God is in your heart. The Word digs in this soil so that the spring may gush out. Origen quoted in Ancient Christian Devotional: A Year of Weekly Readings, Lectionary Cycle B, ed., Thomas C. Oden and Cindy Crosby [Kindle Edition] (Downers Grove, IL: InterVarsity, 2011). This entry was posted in Bible, Early Church Father and tagged Bible, Church Fathers on December 5, 2011 by GlennDavis. God sent a man, John the Baptist, to tell about the light so that everyone might believe because of his testimony. John the Baptist was an in-between man. He ministered in-between the Old and New Covenants. John preached in-between the fulfillment of messianic prophecy and its immediate fulfillment in Christ. John was like an Old Testament prophet in dress, speech, and food, but he pointed to the Lamb of God, the savior of the world. John desired no personal recognition or acclamation. Like an Old Testament prophet, he prepared national Israel for the coming of the Lord, yet he called individual Israelites to change their hearts and repent. John’s ministry was in-between ages, covenants, and promises. John’s life was in-between the Law and the Gospel. John was an Advent prophet living in anticipation of Christ’s first coming. We, too, are in-between people: we wait for the Kingdom of God to appear visibly while living internally under its sway. 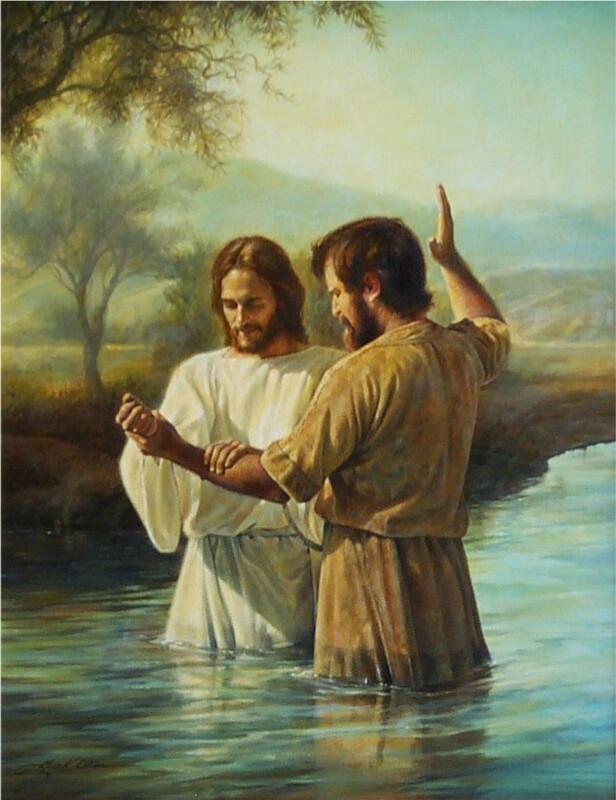 Like John the Baptist, we are called to exhort others to repentance as we point them to Christ, the sin-bearer. In anticipation, we yearn to see Christ face-to-face at his second coming while living by faith after his first appearing. We live in-between the first and second comings, the manger and the Parousia. Like John, we are Advent prophets, responsible to call the lost to repentance and point them to the coming King, the redeemer of the world. This entry was posted in Advent, John the Baptist, Pope Benedict XVI and tagged Advent, John the Baptist, Pope Benedict XVI on December 1, 2011 by GlennDavis.